For the best pricing please book directly on our web site. 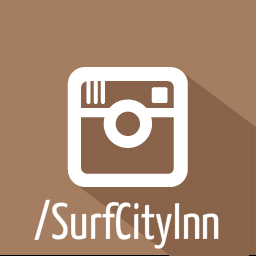 Surf City Inn & Suites – Santa Cruz, is the ideal hotel centrally located in Santa Cruz, CA! We provide personal attention to ensure your group’s travel experience is stress-free and fun. A warm, inviting lobby featuring communal tables, lounge seating around our breakfast bar, encourage socializing and are a welcome gathering place for groups of nearly any size. Our fresh rooms offer all the modern comforts of home. Complimentary WiFi, comfortable beds, hardwood floors a flat screen LCD TV, as well as a microwave and refrigerator, are just some of the things you can expect. 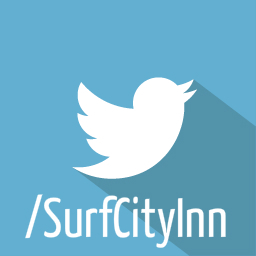 Plus, with large groups in mind, The Surf City Inn offers multiple room types including spacious rooms with full kitchen. .
Reasons to Book Direct: Why not get the savings & perks you deserve!! 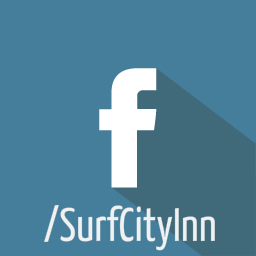 Follow us on Facebook, Twitter, and Instagram for exclusive deals. Download our CC authorization form for quick and easy processing for Companies and customers who are renting on behalf of another party.